The Tri-Centennial Badge for the City of New Orleans. and his younger brother, Jean-Baptiste Le Moyne, Sieur d’Bienville, to explore the Gulf region in the hopes of being the first (and therefore best) country to sow the seeds of civilization in America’s Gulf South. Louisiana was home to six Native American nations at the time Iberville and Bienville sailed to stake a claim on the new world. Long a hub for trading, Louisiana boasts ancient trading grounds near Delhi, Louisiana, called Poverty Point. This sophisticated settlement dates back to 2,000 BC. The bountiful fish and game supplied Louisiana’s early inhabitants with everything they needed to flourish. Plenty of wild fruits and farmed vegetables including squash, pumpkins, and corn rounded out the menu. The Mississippi and it’s waterways were navigated in cypress, cottonwood, or black walnut canoes—amazing to imagine these vessels withstanding the strong currents and tight switchbacks of the mighty Mississippi River. In search of the mouth of the Mississippi our fearless explorers, Iberville and Bienville encountered the Biloxi, Pascagoula, Choctaw, Mougoulasha, Bayougoula, and Quinpessa tribes. 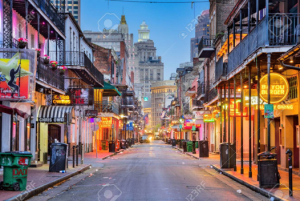 Iberville and Bienville were gracious to their native hosts, often times celebrating their rituals and offering gifts and trinkets from France. In return, Native Americans shared their knowledge of farming and cooking with the colonists. Travel up the Mississippi River gave way to the colonization of several forts until finally in 1718 Iberville founded New Orleans naming it after Louis XIV’s brother, Philippe II, Duc d’Orleans. The official title La Nouvelle Orleans, was a bit of a private joke, using the feminine “la” instead of the preferred masculine “le” as the Duc was well known for his love of cross-dressing at French court. Early settlers of New Orleans numbered Ursuline Nuns from Rouen, France, workers, farmers, bakers, and potential wives from Paris and Rochefort. Indicative of New Orleans’ future, the early days in the colony were a bit on the unruly side. The lack of a house of religion gave many license to behave without morals, chiefly the Canadian officers and unmarried soldiers. New Orleans had an early reputation for debauchery, vice, laziness, and a general lack of faith (according to one Ursuline nun). After 50 years, the colony was still a financial drain on France and so with a secret treaty, they handed Louisiana over to Spain. Spanish rule was not popular with the citizens of New Orleans. Being abandoned by their mother country was a devastating betrayal. When the new Spanish governor arrived nearly four years after Spanish occupation, he was sent packing after an open rebellion. Not long after, New Orleans began to flourish under Spanish rule, primarily due to trade negotiations and treaties with neighboring tribes. And so, a thriving port city was born. 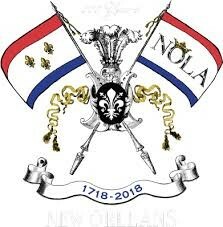 New Orleans changed hands to France once again after the French Indian War, and finally in 1803 was sold to America in an exchange called the Louisiana Purchase which included the entire Louisiana territory from the Canadian border to the Gulf of Mexico (as many here would say, “1803 was a good year”). The promise of a better life brought immigrants through the decades from England, Ireland, Italy, Germany, and many of the Caribbean Islands. Their influence along with the local African, Acadian, and Creole population created the rich and diverse cultural flavors of the region. Jambalaya, one of the most revered dishes of New Orleans is derived from the Spanish word for ham “jambone” and the African word for rice “yaya” a true example of a melting pot. The Big Easy is no stranger to tragedy, fire, disease, and famine. The first and most devastating blow to the French Quarter was a fire that broke out in the home of Don Vincente Nunez on Holy Saturday morning in 1788. Within five short hours 856 of the 1,100 buildings were reduced to ash. In 1853 disease took a turn, an epidemic of yellow fever wiped out over 5% of the city’s population. As a result, a group of medical doctors formed the Medical College of Louisiana to study the spread of tropical diseases, this Medical College is now Tulane University. And certainly most recently, the devastation of Hurricane Katrina. Making landfall on August 29, 2005 the category 3 storm with sustained winds of 100-140 mph caused the levee system to breech caused unprecedented flooding in the city of New Orleans. Nearly 2,000 lost their lives that day and in the days after. Hundreds of thousands were displaced. Today, we find our city changed and yet very the same. Still lusty and slightly sinful, but always respectful of holding on to the traditions that make her so unique. Offering that familiar squeal of the trumpet on any given street corner and a simmering Creole favorite just inside the next open door. Miss New Orleans is indeed very special.